Happy Halloween! Halloween can be lots of fun, but it can also be a difficult time for people with mental health problems. Costumes, events, TV shows and horror films can all contribute to spreading misconceptions that people with mental health problems are ‘scary’ or violent. 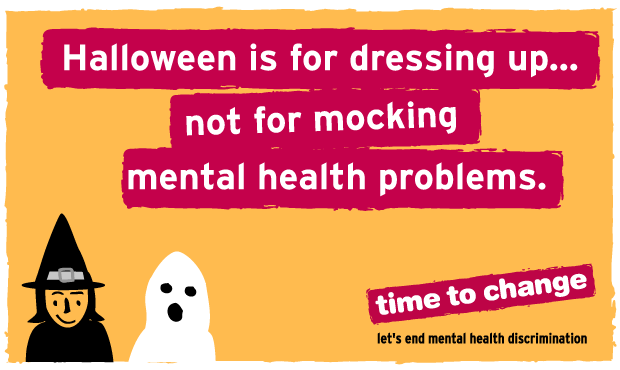 Halloween should be about having fun – for example spending time with friends, watching scary films, carving pumpkins or dressing up – but never about mocking people with mental health problems. The good news is that it’s possible to have fun whilst still remembering to be respectful and sensitive! Mental health problems are common. One in four of us will be affected at some point in our lives. So being able to talk about mental health is something that’s important for us all. The fact that it’s sometimes difficult to talk about mental health problems can be one of the hardest parts of having a mental illness. Whether it’s fear or awkwardness about talking to someone you know about their mental health problem, or talking about our own mental health problem, being unable to talk about mental health isn’t good for anyone. Should I talk about my mental health problem? Think about the different reactions, positive and negative, that the person you are telling might have, so that you are prepared. Choose a time and place where you feel comfortable and ready to talk. Be ready for lots of questions…or none at all! The person you are talking to might have lots of questions. Or they might feel uncomfortable and try to end the conversation or steer it towards something different. If this happens, try not to feel demoralized; regardless of the response, it’s still really helpful that you have taken the first step. Sometimes it’s easier for people to find out more in their own time – so it might be useful to have some information to hand. If someone asks you about your mental health, try not to shy away: don’t be afraid to be yourself and answer honestly if you feel comfortable to do so. Often, once mental health is out in the open people want to talk. Don’t be surprised if your honesty encourages other people to talk about their own experiences. Cardiff University is teamed up with Time to Change, a growing movement of people working to change how we all think and act when it comes to mental health. We want to hear from you about your experiences and ideas about what needs to happen to end stigma on campus. If you would like to be part of the fight to end stigma, please join our Time to Change Student Working Group: a group of students which meets twice per semester, to discuss mental health stigma on campus and ways to reduce it, in order to initiate change. Everyone’s attitude makes a difference. Your attitude makes a difference. If you are experiencing any kind of emotional distress, please do not hesitate to get in touch with us. The Counselling, Health and Wellbeing Service can offer support to anybody experiencing any sort of difficulty, however big or small. 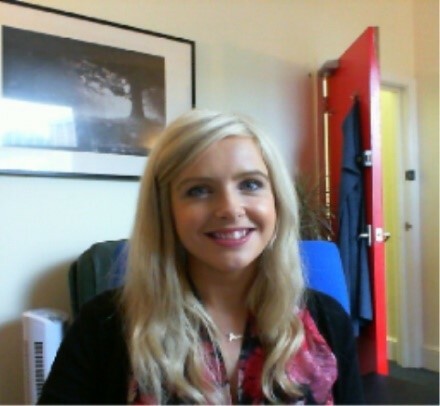 We offer booked appointments via our online referral questionnaire, in which our friendly, approachable staff can offer you non-judgemental support in a safe and confidential space. We also offer a daily Wellbeing Walk-In Service (3pm-3.45pm: Monday–Friday and Wednesday mornings: 9.30am-10.15am at the Student Support Centre at 50 Park Place; and Wednesday afternoons 3pm-3.45pm at Cardigan House, Heath Park Campus). To help us support more students please re-tweet or share this post by using the share buttons or via twitter and facebook.